Discussion in 'VideoFX' started by VIPGFX, Apr 9, 2019. 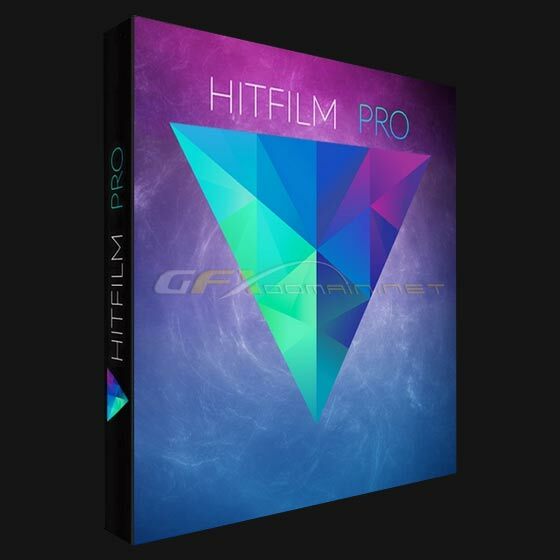 HitFilm Pro 12: FXhome rebuilds its video editing and VFX software, Finally available from FXhome, HitFilm Pro 12 features an entirely new architecture, for a faster workflow, thanks to GPU decoding on Intel and NVIDIA hardware. Extra speed and a new user interface : That’s fast, I must admit, and I believe everybody will love the extra speed, but I must admit, having used HitFilm before, that I am curious about the interface. I continue to feel that the interface on some NLEs is what stops people from exploring them further, so the promise of “a new, snappier user interface” by FXhome makes me want to install the software and give it a try. There is a demo version available on the company’s website, so if you are also curious take their suggestion and download the app. All your tools in one place : Designed for creatives who want everything they need in one place, HitFilm Pro allows users to go from a video editing timeline to 3D enhanced animation tools, motion tracking tools, and puts more than 820+ VFX & presets under their fingertips: With tools for creating anything from titles and caption to even edit audio, all this can be accessed without leaving the editor. Enhancements : The Undo/Redo and Save buttons have been restored to the menu bar. The menu containing options for the appearance of Editor tracks has been reconfiguredImproved the alignment of keyframes in the value graph while scrolling. Improved the way in which text is displayed on the export progress bar. Visibility of mask curve handles has been improved. Improved playback performance on the Editor timeline. Added a default color label option for Grade layers. Improved the alignment and positioning of controls in the Track panel. Improved render accuracy in the viewer for footage that does not match the timeline resolution. Changed the Export Progress bar color when export is completed, to more easily identify finished exports in the queue. Fixed the layout of the transport controls so that the Previous Frame and Next Frame buttons are side by side. Improved the rendering and functionality of the dialog that warns of a system below the minimum requirements.